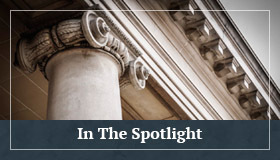 Enforcement of The “Net Opinion” Rule Leaves Plaintiff Without Expert Opinion Regarding Proximate Cause | Golden Rothschild Spagnola Lundell Boylan Garubo & Bell P.C. In the recent case of Townsend v. Pierre, (A-2-13) (072357)(March 12, 2015), the Supreme Court barred plaintiff’s expert opinion regarding proximate cause as a “net opinion” because it was directly contradicted by undisputed factual evidence. In Townsend, the decedent/plaintiff was killed when the defendant, Noah Pierre, made a left hand turn at an intersection, colliding with the decedent’s motorcycle. The decedent’s estate filed a complaint alleging negligence against numerous defendants, including Ms. Pierre and the owner and lessee of the adjacent property. Plaintiff’s theory of liability against the property defendants was that the property’s overgrown shrubbery obscured Ms. Pierre’s view of the intersection. During discovery, Ms. Pierre testified that her view was initially obstructed by the shrubbery when she stopped at the stop sign. However, prior to entering the intersection, she inched forward, coming to a complete stop beyond the stop line. At that time, the shrubbery was no longer an obstruction, and her view was clear. She did not see the decedent and proceeded into the intersection, where the impact occurred. Ms. Pierre’s passenger corroborated her testimony that the shrubbery was not obstructive at the time Ms. Pierre made her turn. A second witness observed Ms. Pierre’s vehicle beyond the initial stop line, corroborating that portion of Ms. Pierre’s testimony. In support of its argument that Ms. Pierre’s view was obstructed, and that her obstructed view was a proximate cause of the accident, Plaintiff served the expert report of Nicholas Bellizzi, P.E. Mr. Bellizzi’s investigation included a site inspection where he took measurements and photographs. He also relied upon evidence exchanged during discovery, including deposition transcripts, and various codes and design standards. His analysis assumed that an approaching driver viewed the intersection from behind the stop sign. Mr. Bellizzi found that the property defendants breached their duty of care by failing to adhere to certain ordinances. He further opined that the sight distance of the intersection was a significant contributing cause of the accident. He concluded that Ms. Pierre’s testimony that her sight was ultimately unobstructed was mistaken because she initially admitted having an obstructed view, and did not see the decedent approaching. However, he did not offer evidence or analysis to contradict her testimony. The trial court struck Mr. Bellizzi’s report for containing a net opinion. It then granted summary judgment in favor of the property defendants, holding that the shrubbery was not a proximate cause of the accident, given Ms. Pierre’s testimony and the absence of evidentiary support. On appeal, the Appellate Division reversed opining that the unconditional admission of Mr. Bellizzi’s causation opinions would be improper, given the contradictory testimony. However, the Appellate Division found such opinions could be admissible, provided that appropriate hypothetical questions were posed, and the court gave corresponding limiting instructions. The Supreme Court agreed with the trial court that Mr. Bellizzi’s opinions regarding proximate cause were net opinion. Mr. Bellizzi could be qualified as an expert, and his opinions with respect to the applicable duty of care could be admissible. However, he did not use these qualifications to present expert evidence rebutting Ms. Pierre’s undisputed and corroborated testimony that her view was unimpeded when she entered the intersection. For example, he did not take measurements to assess the view of a driver making a turn at the point of the intersection where Ms. Pierre made her turn. Moreover, he did not opine that a driver’s view would be blocked by shrubbery at that angle. Rather, he analyzed the shrubbery’s impact on the view of a driver stopped before the stop sign, which was not the factual scenario presented. He merely asserted that Ms. Pierre’s testimony regarding her view was simply wrong. While use of hypothetical questions in the examination of an expert is permissible, the Supreme Court emphasized that hypothetical questions must include facts admitted or supported by the evidence. Here, the hypothetical question suggested by the Appellate Division, which required assumption that Ms. Pierre’s account was wrong, lacked foundation and was contrary to the evidence. As a consequence, use of hypothetical questions could not save Mr. Bellizzi’s proximate cause opinions from being net opinion. Finally, because there was no evidence that the shrubbery was a proximate cause of the accident, summary judgment in favor of the property defendants was warranted. The holding in Townsend reflects the Court’s willingness to strike an expert’s opinion as net opinion if it relies solely upon unsupported facts. 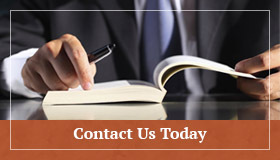 While an expert may be qualified to offer such opinions, qualifications alone do not make an expert competent to testify on all issues before the court. Moreover, not all opinions will be admissible solely because certain opinions are proper. Rather, all opinions proffered by an expert must be based upon evidence supported by the record. If they are not, a party risks having its expert barred, and being left without an expert opinion as to the ultimate issues in the case.